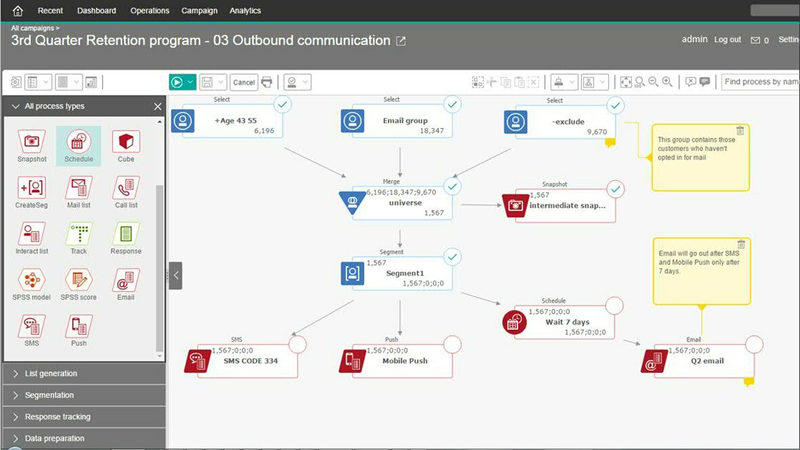 IBM Campaign enables sophisticated marketing teams to work smarter and to keep customers more engaged and loyal. 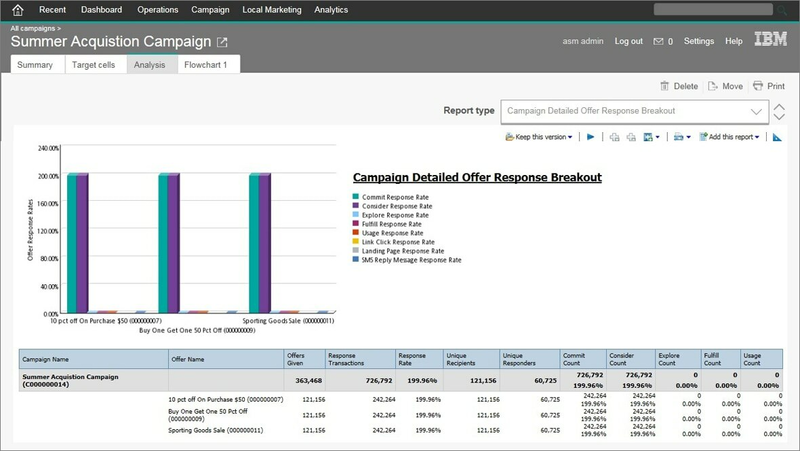 Marketers use IBM Campaign to maximize revenue and engagement via personalized campaigns and offers. Increase results by segmenting the largest data sources and providing the right offers at the right time in the right channel. Boost ROI by optimizing performance and marketing spend. Deploy fully to the cloud or on premises. 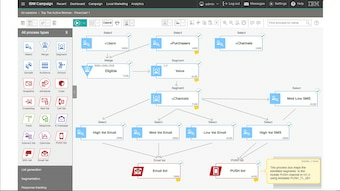 Use Marketing Software Director for environment and flowchart administration. 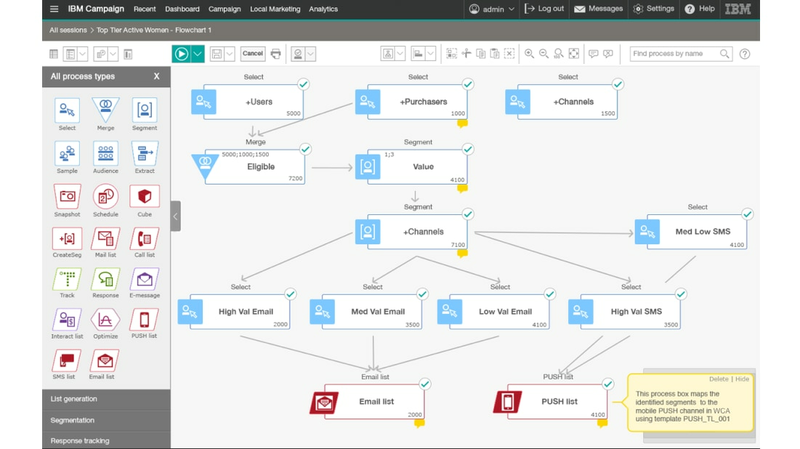 Integrate with Marketing Operations for workflow approvals and Watson Campaign Automation for digital channel execution. Engage with your customers on personalized journeys across all digital and offline channels. Conduct 1:1 conversations with your customers using powerful segmentation across the largest databases. 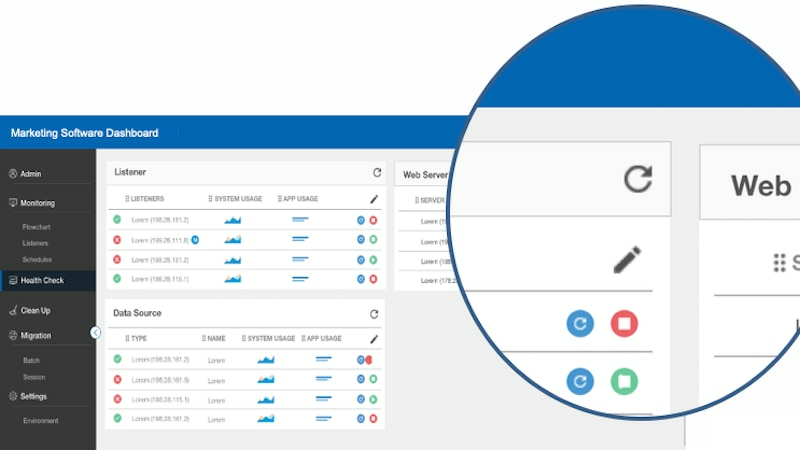 Leverage user experience enhancements to work smarter and quickly drive to insights. Marketing teams will save time, make better decisions, and boost customer engagement. 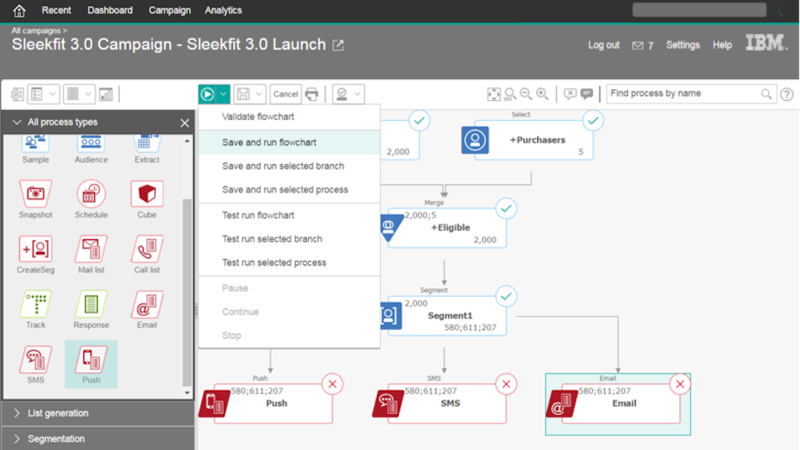 Ensure all campaign environments and flowcharts are operating as you designed and expect - all of the time. 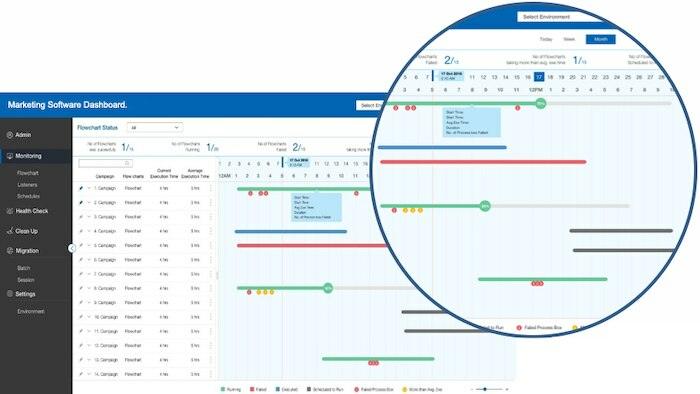 Troubleshoot and audit with ease. 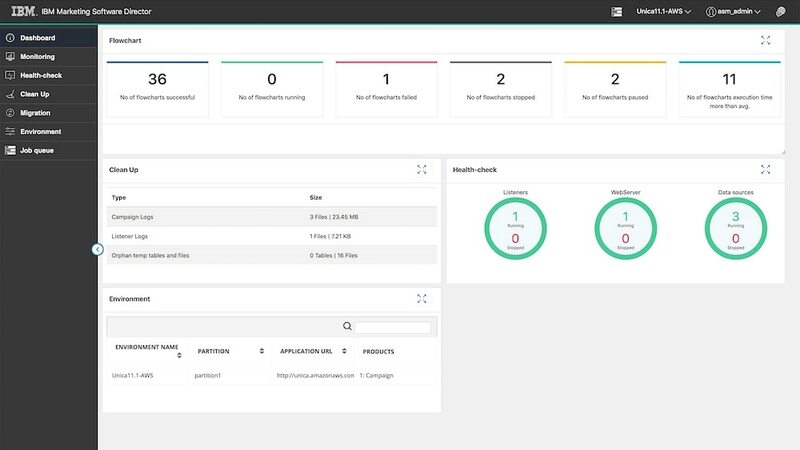 Choose to deploy on premises or hosted in the cloud.